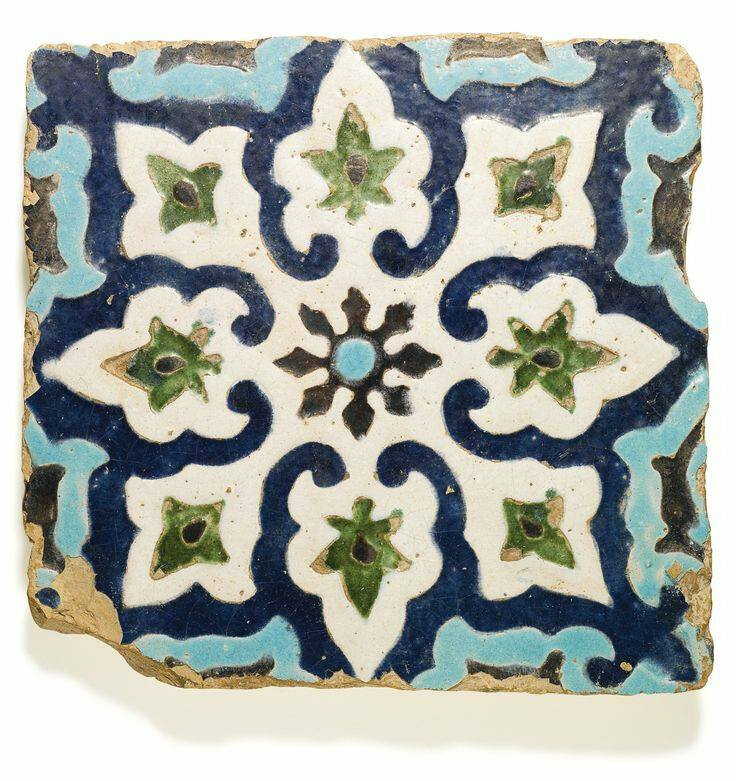 Lot 166. 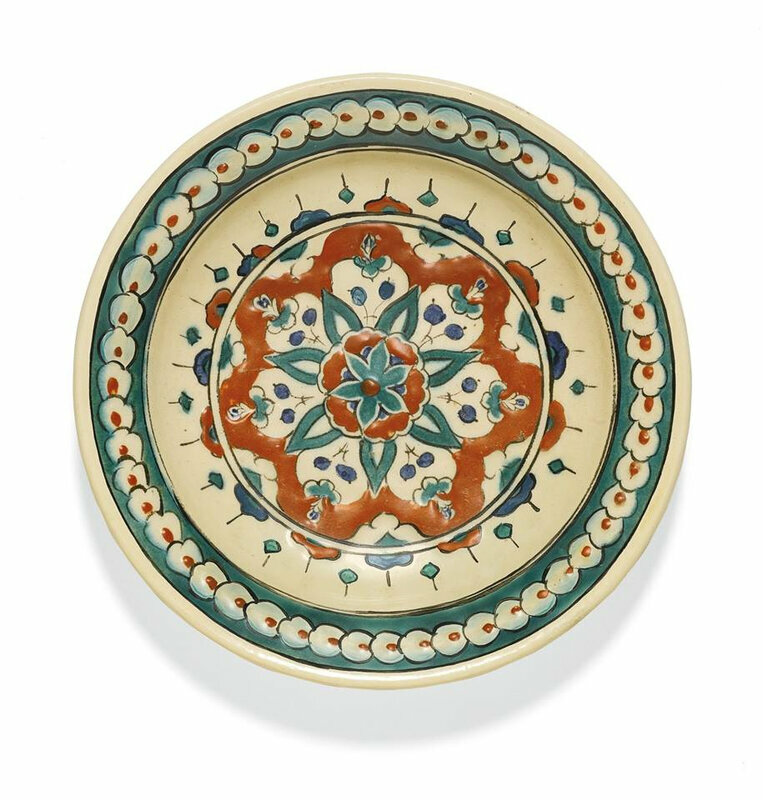 An Iznik polychrome pottery dish, Turkey, 17th century; 30.6cm. diam. Estimate 3,000 — 5,000 GBP. Lot Sold 3,750 GBP. 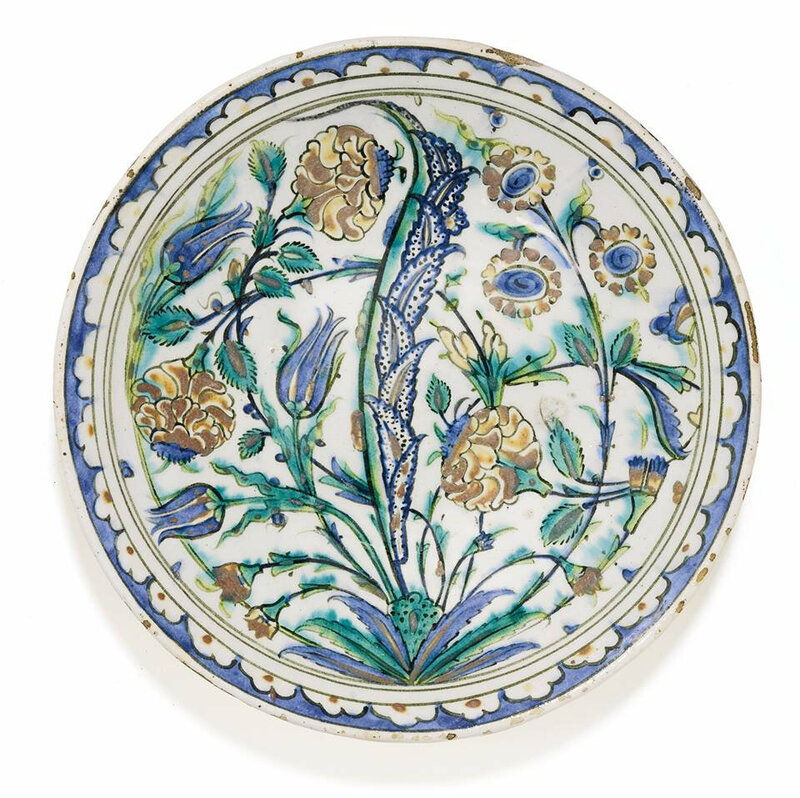 Photo: Sotheby’s 2014.
decorated in underglaze blue, viridian green and relief red with a central saz leaf surounded by carnations, tulips and rosettes, the rim with a simple stylised floral design, foliate motifs on exterior.